The general appearance of wasps can vary quite a bit depending on the specific species. All wasps you’re likely to encounter have two pairs of wings and a pinched waist, but their coloring can range from dull black to shiny green or blue. Their size variations are just as big, going from almost microscopic to multiple centimeters in length. Most wasps are considered social, so they live in colonies, though there are solitary hunters. They are also divvied up between predatory and parasitic. Predatory wasps hunt, kill, and consume other insects. Parasitic wasps, on the other side, lay their eggs in the bodies of living creatures so that they can feed upon them once hatched. In colonies, there will be a queen that produces unfertilized eggs that turn into males and those eggs can turn into hundreds of new workers each season. Wasps are generally social insects which means that if you encounter one, you’re likely about to encounter many more. They have smooth stingers which make them capable of making multiple painful stings all at once. 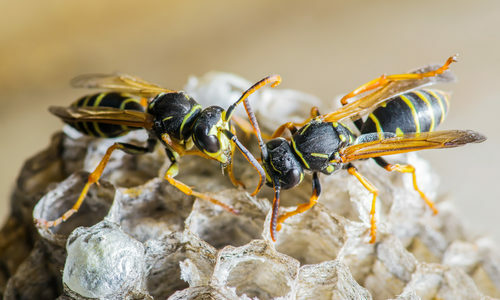 Wasps are never aggressive unless they feel that their nest is threatened, but that doesn’t mean you shouldn’t take their potential threat seriously, especially if you’re allergic and susceptible to anaphylaxis. Why do I have wasps? Wasps will enter your home for a few main reasons: they have found a reliable food source, they have found a comfortable nesting or hibernation site, or you have generally poor luck. Wasps generally don’t get inside homes unless they hitch a ride on a person, and in that case it is infrequent that they then develop an indoor nest – but it can happen, and when it does it can lead to a frightening stinging episode. Wasp prevention is similar to the prevention of most other pests: keep any potential entrances closed, potential food sources limited, and potential hiding places clear. Insecticides can be used, but we recommend contacting pest removal professionals before introducing any potentially harmful chemicals into your home so you don’t accidentally introduce further problems into your home or business. How can Gregory Pest remove wasps from my home or business? 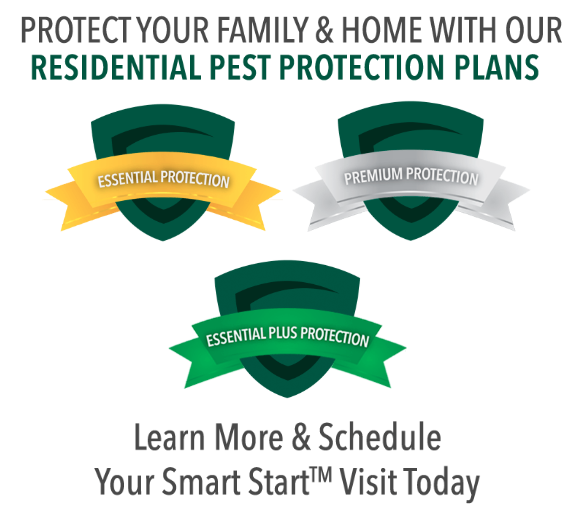 An expert exterminator from Gregory Pest Solutions will be your full-service pest solutions provider specializing in the effective, humane removal and prevention of wasps and their nests from your home or business. When you hire us to evaluate how extensive your home’s pest problem is, one of our pros will be sent to assess the wasp situation and then formulate an environmentally friendly plan for removal and prevention. Once we implement our plan, our experts will clean the area and seal any openings that are prime for future nests so you and your family can enjoy a lasting insect-free environment.